We’re a full service electrical company dedicated to creating the friendliest customer experience possible. That’s why we strive to maximize efficiency, keep our prices fair and maintain the highest level of quality and service. Our licensed technicians provide service to both residential and commercial clients. Our service area includes Hamilton county area as well as Northwest Indiana. 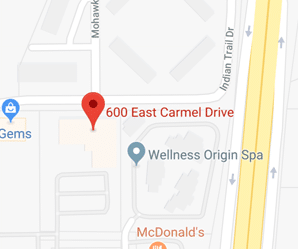 Please call to check on our service area as we are expanding! Regardless of the scope of your project, we have the tools and manpower to complete on time, at the right price, and to your satisfaction. 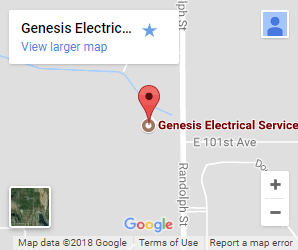 When you need an electrician you can count on, one who will work around your schedule and perform professional, competitively priced work, count on Genesis Electrical Service. Call today to schedule an appointment or receive a free estimate! “Thank you for the excellent electrical work you did on our handicap lift project. You found a solution with each difficulty that came up. We appreciate your prompt, knowledgeable, honest and friendly service. We will gladly recommend your company”.